The Miller Center’s new Student Leaders program provides UVA undergraduate students with the opportunity to develop programming, conduct research, and engage with policymakers and government officials around issues related to the study of the presidency in the 21st century. Students in this program help to plan and execute major events at the Miller Center, including taking lead on the Presidential Ideas Festival, a large capstone event to end the inaugural year of the program. Student Leaders will have the opportunity to conduct research in presidential studies, engage in student body outreach, act as Miller Center ambassadors on Grounds, and develop additional programming and content. 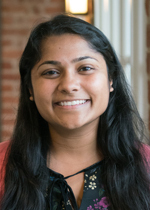 Ankita Satpathy is a fourth year in the College of Arts and Sciences, studying politics and history. She is particularly interested in issues of diplomacy and development. Apart from working with the Miller Center, she is the vice chair of hearings for the Honor Committee and a research assistant in the politics department. 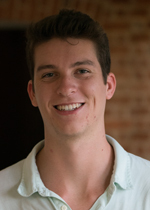 Balthazar Merrin is a third year studying foreign affairs and public policy at the University of Virginia. 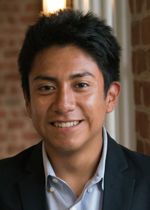 He hopes to pursue a career in the field of development and state-building. Balthazar is able to explore his interest in international relations as the managing editor and researcher for the student-run podcast The Global Inquirer. Raised a Rhode Islander, Daniel Ajootian is a fourth year at the University of Virginia on a Jefferson Scholarship. A double major in the English DMP and Politics Honors program, he takes a special interest in antebellum U.S. history. A Double Hoo research grant allowed him to spend the past year writing on abolitionist and imperialist movements in 19th-century democracies. He is also editor-in-chief for the Seriatim Journal of American Politics. He hopes to be a writer. 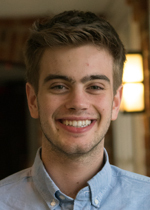 John Grady is a third-year foreign affairs and history major from Purcellville, Virginia. Hailing from a military family, he graduated high school in Stuttgart, Germany. John is the oldest of seven children and enjoys playing basketball and tennis in his free time. Merritt Gibson is a second year at the University, studying history and English. She developed a particular interest in the presidency after living in Jackie Kennedy’s room at Miss Porter’s School. Merritt has been involved in several girls’ empowerment and safety organizations, including I Am That Girl (chapter founder), the Red Zone Forum (chair), Take Back the Night (lead organizer), and the One Love Foundation (facilitator). She is also an indie recording artist whose first album, Eyes on Us, was recorded in Nashville and released in March 2018.